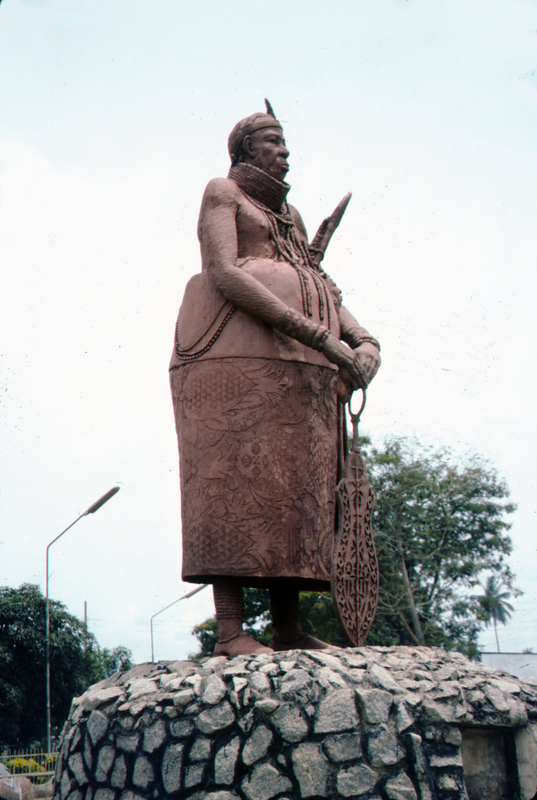 This cement sculpture depicts one of the over 300 Benin chiefs in court dress. Although naturalistic, it is not a portrait of a particular man. The chief holds his ceremonial sword, the eben, in the "tipped" position which indicates his salute to the ancestors buried there.